As readers of this blog know, I’m a huge fan of the wines of Austria. 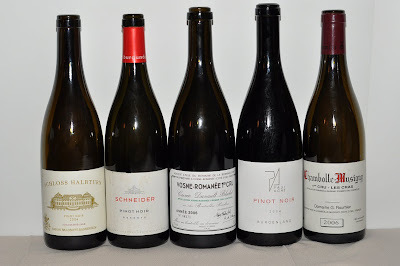 From crisp whites to sweet, and from everyday reds to far more profound ones, Austria is a country whose wine industry is as exciting, diverse, and promising as any right now. And these days, it seems as if wine lovers all over the world are discovering exactly how much these wines have to offer. From the victory of Austrian sweet wines at the Concorso internazionale di vini passiti in Italy, an international sweet-wine competition in which 9 of the top 10 wines were Austrian, to the ever-higher scores the wines receive in wine publications everywhere, word is spreading that these are wines to be reckoned with. It went on to quote Willi Klinger, Managing Director of the AWMB, as saying, “For a long time, we were known around the world for our white wines only, but now we are more and more being associated with our world-class red wines as well." Buy these wines and drink them: They’re absolutely fantastic.